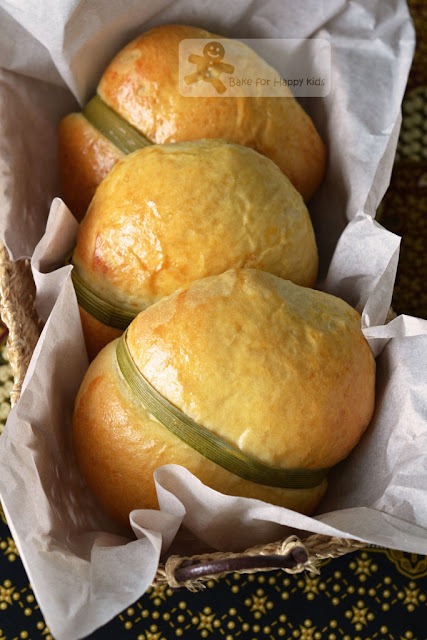 Being a heartlander, I used to grow up eating curry bread buns when I was living in Singapore. Most of bread buns sold in traditional-style bakeries located within the reach of most HDB (Housing Development Board) estates are usually baked with lots of South-Asian flavours and these chicken curry buns are as good as those we ate in Singapore. 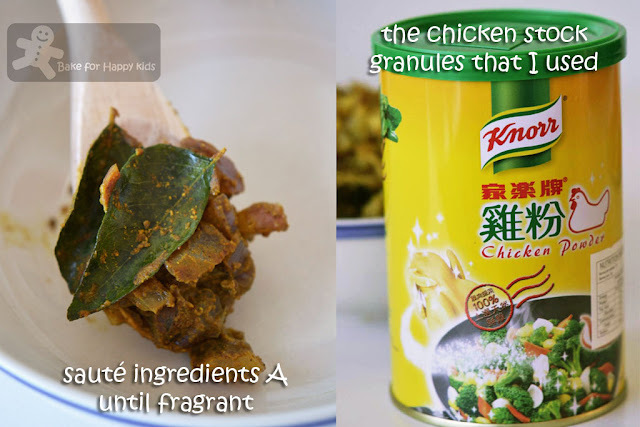 With sweet spicy flavours with pandan leaf trimmings, these chicken curry really reminds me of my younger days at home. This recipe originates from the book, I Can Bake by Agnes Chang. Its basic bread dough is enriched with high buttery content and tastes really good with curry chicken filling. To avoid using bread improver, I have made my bread dough with an overnight sponge to enhance the texture of the bread. Prior this bake, I remember reading Quinn's Baking Diary who had used this similar recipe before and mentioned that his buns are not spicy enough and so I doubled the amount of curry used and used barbequed chicken breast instead of the raw chicken meat. For my son, I have made half of these buns to be the non-curry ones and glad that he was enjoying the non-curry buns too. Being typical Singaporean, my husband and I still prefer the curry ones. All thumbs up! My family and I are going away again! We are going to USA for the next 2 weeks and will return on at late June 2013. See ya! 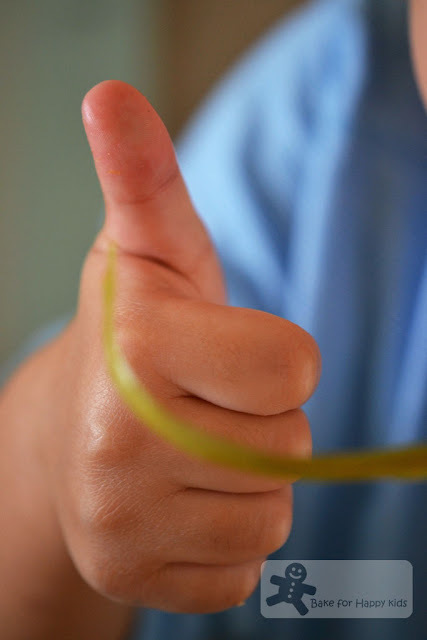 The theme ingredient for Little Thumbs Up (Jun 2013) is CURRY! 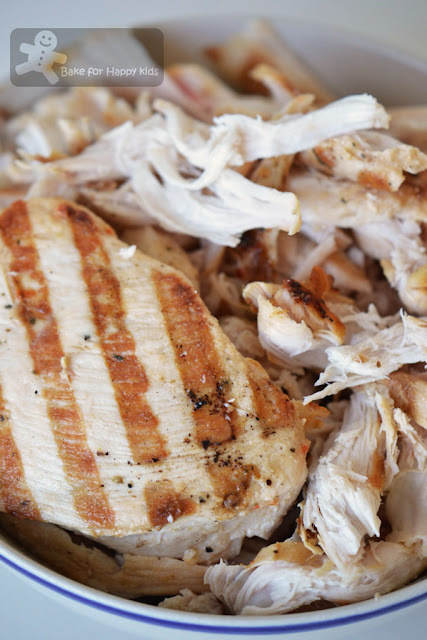 My husband barbequed these chicken breasts and I shredded them into pieces. Curry + Bread = Flavoursome + Awesome! All buns were gone, leaving the pandan trimmings behind... Thumbs up! Put all ingredients A into a bowl or breadmaker and mix into a smooth dough. Add B and continue to knead until gluten has developed and it can be stretched into a very thin layer. Cover with a piece of damp cloth and leave to rise until it doubles in bulk (I did mine for 1 hr). Punch down and knead again until smooth. Divide into desired portions and shape into balls. Cover with damp cloth and rest for 10-15 mins: before forming into different shapes. 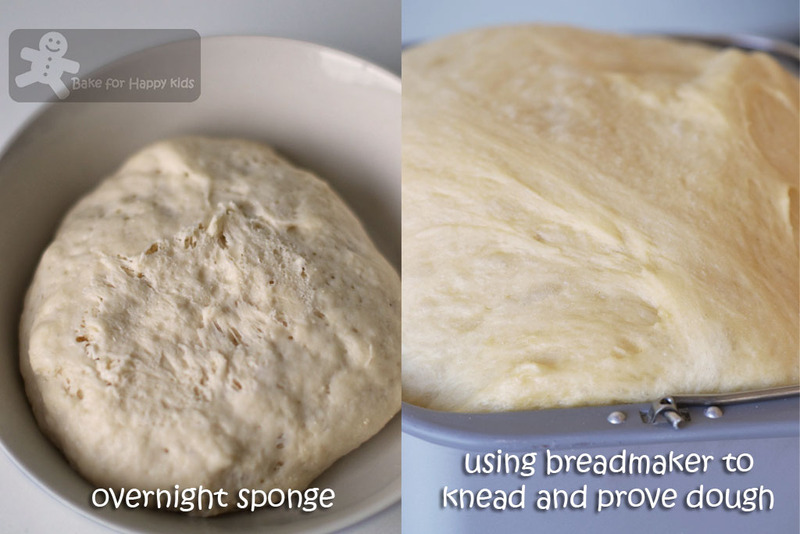 Put all overnight sponge ingredients into a bowl and knead into a smooth dough. Leave the dough to rise until double in size. Wrap dough in plastic wrap and keep it in the fridge until it is ready to use on the next day. For the filling, heat up oil, saute A until fragrant. Add B, stir well and cook until dry. Taste. Dish up and leave to cool. Put aside. I have divided ingredient B into half and add A into one of the halves (which means using all the curry seasoning in half amount of meat and potatoes - doubling the curry seasonings) and add 3 tbsp tomato sauce into the other half being without the curry flavours. Divide dough into 50g pieces (or into 8 portions for larger size) and roll each piece into thin sheet. Wrap up 2 tbsp filling and shape into buns. Tie with pandan leaf. Arrange onto a baking tray. Glaze with beaten egg and leave to rise until it doubles in bulk. Bake in a pre-heated oven at 200°C for about 15 mins, until cooked or golden brown. Note: Using the full amount of this recipe, I have baked 8 buns in total (4 with curry and 4 without curry), having 1 bun portion of tomato sauce filling and 1 1/2 bun portions of curry filling as leftover. All buns were baked at 180°C fan forced for 15 mins. 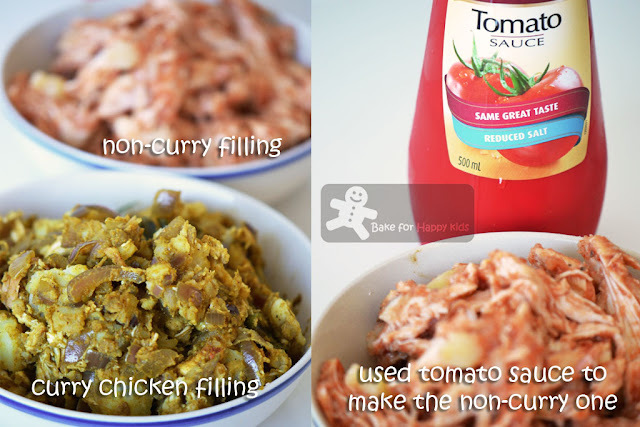 I love the look of that chicken curry filling! Yum! Yum, bread looks very soft and fluffy, must be nice with curry :) Have fun in USA! Wow! Your buns look like those sold at the popular Lavendar bakery shop here...very nice! This is my kinda buns! With curry filling! I would happily devour two for my breakfast! Buns like this are always a hot item in S'pore and M'sia! This is like "comfort buns" to me! LOL! Enjoy your holidays, Zoe! I'm so jealous! I am hungry, give me two curry chicken bun please! Oh these buns sound do delicios. I love the curry filling too. I love curry buns too and grew up eating them. Now I have curry buns craving! 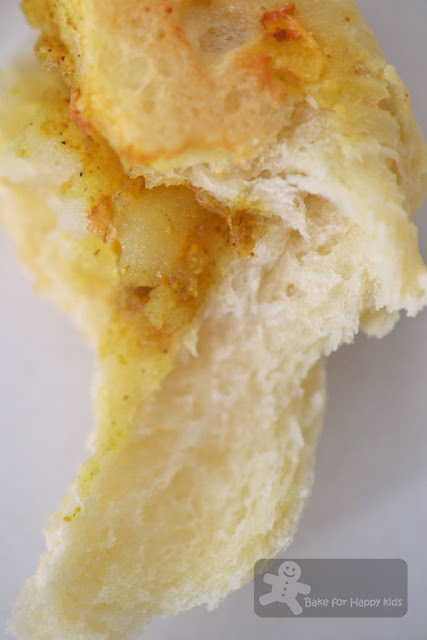 Love the idea of a curry bread!! A favourite of mine. Thank you for sharing. I've really got to get down to baking one day! Ooh I remember having those curry buns too! Used to love them. i shall look for something to post for LTU..meanwhile enjoy your holidays! Those look yummy. And I love the thumbs up at the end. Happy hols to you and your family. Enjoy the US of A! These looks delicious!!!! So trying these! I love to bake bread and I almost never think about savory filled breads. These looks fantastic! I've never attempted curry buns before, but you're making me brave. I'm going to attempt these. Zoe, I used to buy this kind of curry bun from bakery shop!!!! 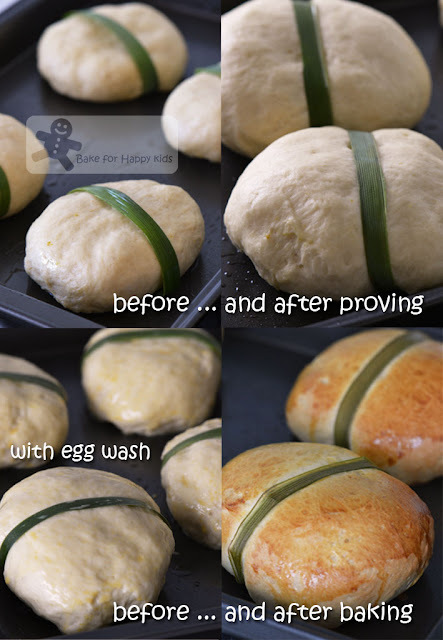 The aroma of pandan leaves make these curry buns perfect!!!! Oh dear..that curry chicken filling sounds so delicious!And buns look just perfect. Wah, you & your family have a pair of wings, flying here & there for so many times this year, hehehe! Enjoy your holidays! Your curry chicken buns look so yummy here! I never had a curry buns before :P Maybe , I'll steal this recipe and make some lol Your buns look fantastic ! Love the soft and fluffy crumbs . Enjoy the family getaway ! Keep safe ! Mindblowing bread buns, love that curry touch here. I've never eaten one but I love any curry kind of food! We are going to Melbourne later this year, can we get it in the city? Zoe, I love this bun, remind me that I always had one for breakfast during my early times, yum! Thumbs up! Thumbs up ! I love this curry buns. Love the way you wrapped the buns! Have a wonderful vacation, Zoe! Zoe, these look absolutely SCRUMPTIOUS! When are you inviting me to tea???!!! Deliciousness! These look amazing! Have a wonderful weekend Zoe! I'm such a terrible baker Zoe but oh how I wish I could take a crash course. Your buns sound fabulously delicious! being a heartlander too, I totally understand where you're coming from. Curry buns are just so heartlands! PS yours look so fluffy and delicious! I would totally enjoy these curry buns. These would be perfect for lunch. Nice! This sounds so good. I love all your photos. 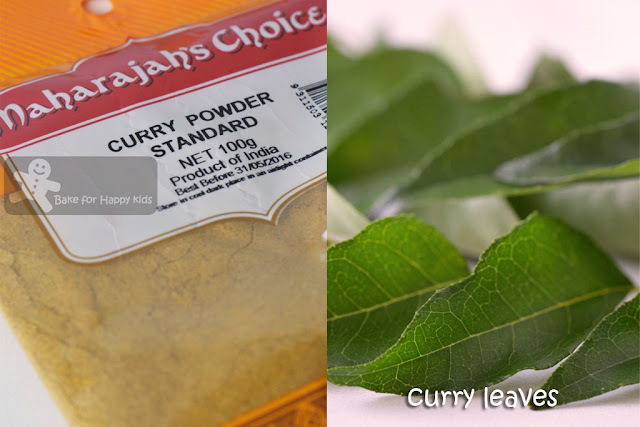 I might have to have curry tonight...yum! yum! I love a good potato bun too... happy holidays!! Wow what a great recipe! It seems like a lot of work but the end product looks wonderful, great job. 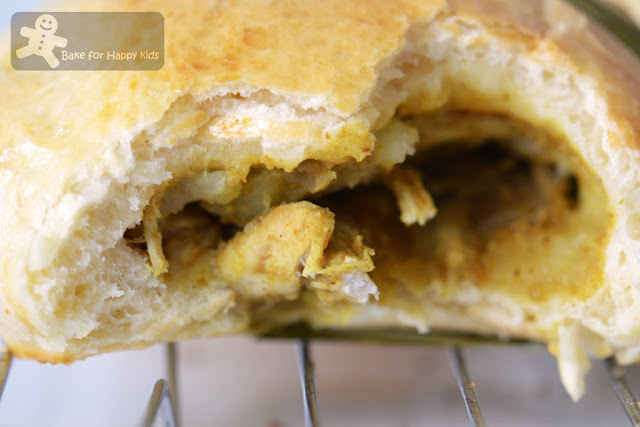 Mmh, these curry breads look so good and the recipe sounds lovely! Oh Zoe, these buns filled with chicken and curry look great...I used to get them at Japanese grocery...yum! By the way, I love the thumbs up! Those look absolutely PERFECT! Amazing job as always! :) I enjoy reading your blog. You have such awesome ideas. I've never made anything like this, but I think I need to! Bookmarked! These look great. I am thinking the kids would love them in their lunch boxes. OMGosh those look so yummy I've never heard of those before. Don't you just love the bread maker doing all the work, my favorite part!! I love curry buns and these look fantastic! The buns look so fluffy and perfect - fabulous job!